Spanish Flashcards: Learn 1000 Spanish Words Without Memorization! 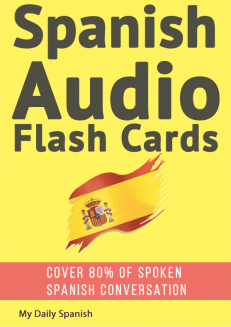 Home / Vocabulary / Spanish Audio Flashcards: Learn 1000 Spanish Words – Without Memorization! When you’re starting to learn a new language, one of the most difficult thing to do is to memorize new words. There are different memorization techniques being taught to students, but the question is---is there a better, simpler way to learn Spanish vocabulary? Audio drills are designed to make a topic stick into the minds of a language learner, thereby creating a reflex that will allow you to grasp a word faster without having to memorize anything. This repetition technique is a proven effective method to learn vocabulary faster and better. 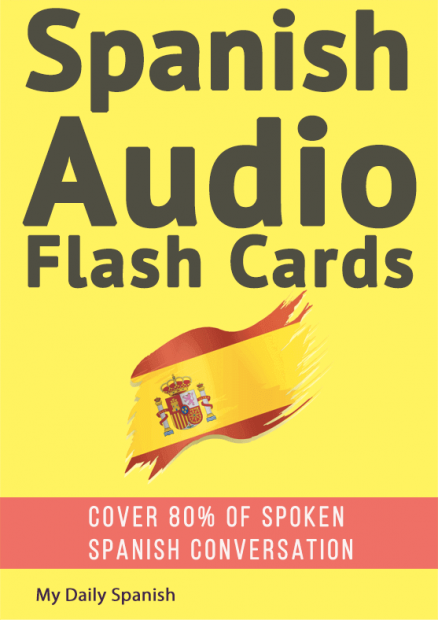 Spanish Audio Flashcards: Learn 1000 Spanish Words - Without Memorization! This tool is a perfect method you can use to boost your Spanish vocabulary in an easier, more pain-free route. 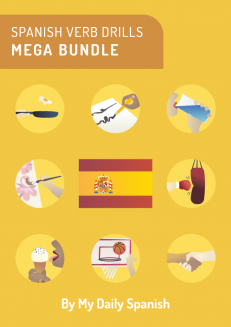 Learn 1,000 Spanish words - -without memorization! 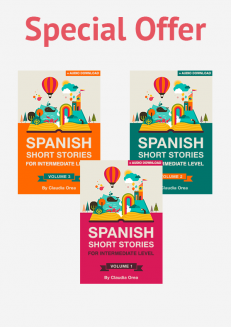 Did you know that you need only 1,000 Spanish words to understand 76 percent of all Spanish nonfiction writing, 79.6 percent of all fiction, and a whopping 87.8 percent of all spoken Spanish conversations? 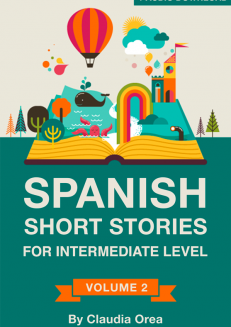 Now you can take a shortcut to Spanish vocabulary by learning 1,000 of the most common Spanish words covering 26 themes - with no need for rote memorization. All you need is six to seven minutes per day to listen to audio drills. 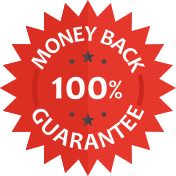 The exercises will teach you 20 to 25 Spanish words each day through a repetition method designed to help you grasp the words naturally. The drills are narrated by a Spanish speaker and guaranteed to help you learn and practice correct pronunciation, as it is spoken by native speakers today. Each word is spoken first in Spanish, with its English translation (spoken in normal speed) and one more time in Spanish, but spoken in slower speed. Each daily session lasts for six to seven minutes and is very easy to follow. You can listen to the drills practically anywhere--during your commute, while driving, while running, while doing chores, or during any free time you have. 10 reviews for Spanish Audio Flashcards: Learn 1000 Spanish Words – Without Memorization! As an auditory learner, I really find the audio flashcards really useful. I can listen to them anytime and anywhere and be able to learn the right pronunciation and meaning. Very basic but very useful! I recommend it to anyone who needs to improve pronunciation. 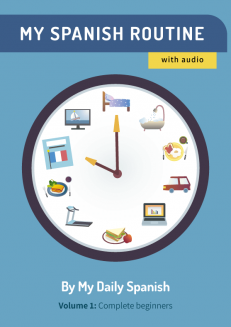 As a language lover, audiobooks are one of the best ways for me to perfection a new language. 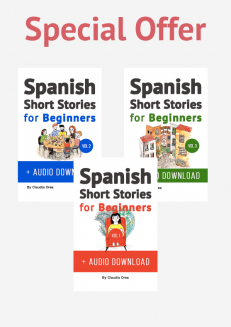 I am already fluent in Spanish and wanted to listen to this book because I give private Spanish lessons and I like to advise audiobooks to improve the learning speed of the language. The idea of listening to a vocabulary based book was appealing to me, and that´s something you need to know about it, it´s just words and its pronunciation. This is not a book about grammar concepts or sentence formulation, it´s great to expand your Spanish knowledge of words and pronunciation. It has different sections, from animals, foods, clothing, transports to family, materials, nationalities and more. Once you have studied the grammar basis of a language, it´s really nice to have a book that helps you to extend your vocabulary knowledge, and that´s the biggest difference between this and other audiobooks I have listened to. 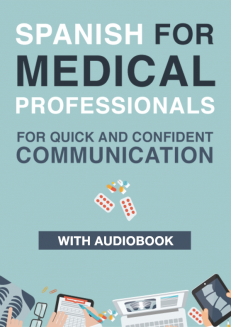 I can speak English and Spanish fluently and I can tell this audiobook is excellent for those who wants to learn Spanish and for those who are already learning, it helps to pronounce correctly, to learn the most used words and is pretty easy to understand. I would definitely recommend it. I like this methodology to learn. This book is just excellent! The pronunciation is clear and everything is divided into topics that you can learn every topic separately. I recommend this book to everyone! I liked how the audio was on this. Especially liked how all I could pick up an audio on a particular category so that I could learn what I wanted when I wanted. Sometimes picking up a book and trying to learn a language is easy or hard for some and this audio helped because you got to hear clearly what the words pronounced sound like so you can replicate it clearly. Audio was also clear sounding. Worth the effort to give it a try. The audio work is clear and understandable, and the gaps in-between each word allow you to refocus and prepare for the next word. While I do believe that reading and listening to full sentences are paramount to learning a new language, practicing your glossary is big part of developing a “native” sound or dialect. 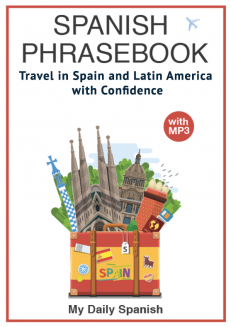 They did a great job producing these audio flash cards, and I recommend these items to that wants to learn a language beyond just tourist-type phrases. Owing to my father be a peruvian and I’m a brazilian who only went to Peru once, I still have several relatives residing in Peru that I have never met face to face. How I’ve always wanted to meet my entire family, I’ve also always been very curious about the spanish language. Since I’m always very busy with work I decided to buy this book because the audio tool made me feel more motivated to foster my spanish vocabulary while I’m doing daily tasks as walk my dog, and the time I’ll spend in the airplane looks like a perfect opportunity to improve even more my knowledge about the spanish language. 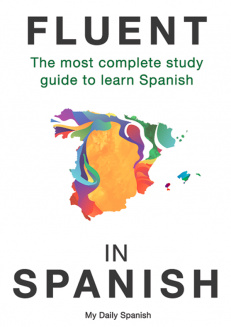 So I recomend this book to people who are busy and want to improve a little bit the knowledge of the spanish language. The ebook exceeded my expectations in the sense that it covered a wide range of subject than I had expected. Repetition – studies have shown that repetition helps learners to grasp new materials quicker than just hearing/seeing once. I definitely thought this was a good idea. Everyday words were used making learning relatable.